July 2018, due to planetary influences, will be a somewhat tense and difficult period for Pisces signs. Fish, accustomed to a calm and stable life, will experience feelings of discomfort and uncertainty. Many may feel slightly lost, due to an inability to focus on the more important things in life. To minimize the negative impact of these planetary influences, those under this Zodiac need to rest more and remove themselves from potentially irritating situations. In spare time, try to slow down and sit in silence, perhaps even listen to calm and relaxing musical compositions. This will help relieve tension and fatigue, refresh your thoughts, and recharge your energy needed for future accomplishments. You may experience difficulty in decision-making during this time due to feelings of confusion, and perhaps even doubts about decisions made in the past. To eliminate these feelings and troubles, listen to your intuition and inner voice. It will not let you down, especially during this time. For Pisces signs, the beginning of July 2018 is a good time to spend vacationing, instead of working or thinking about household matters. Due to planetary influences, Fish will have an acute need for the presence and support of their loved ones. Family and close friends will be a priority. If spending time away from work isn't a possibility, enjoying time at home is also a good option. Perhaps it's time for a cleanup or minor home renovation? Change the wallpaper, replace and rearrange furniture, tidy up and organize, (especially those closets)! Going through things at home may even bring up feelings of nostalgia, but a majority of the items will most likely prove to be useless and part of the past. In any case, get rid of everything that clutters your space. And don't focus only on things while you're decluttering. It would be wise to reevaluate toxic relationships, negative emotions, and unhealthy behaviors as well. Surround yourself with loving and loyal people who encourage and support you. Soon everything will fall into place, and life will acquire new meaning. The middle of July 2018, due to planetary influences, will be one of the quietest and most remarkable periods for Pisces signs. You will have the desire and strength to set your plans in motion and achieve your goals. Some Fish will be able to stabilize and improve their family financial matters and pay off debts, some will invest in a completely new wardrobe, and some will fulfill their desired dreams. Positive and trusting relationships will increase at work with superiors and colleagues, which will bring more opportunities for Fish to move up in their respected line of work. Unemployed Pisces signs will find well-paid and satisfying positions, where they will realize their potential and begin to enjoy working again. The end of July 2018 will be very interesting and productive for those under this Zodiac. Many Fish will find new hobbies and talents, which will help them open to more experiences. Some Fish signs will turn their hobbies into a business, which can potentially provide them with a more comfortable living situation. The end of July is the best time to make purchases. It is during this period that it will actually be possible to buy those desired or needed products (perhaps even some real estate!) at a good price. 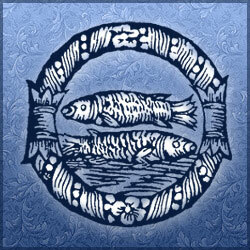 During the last days of the month, Pisces signs will look to the future with optimism and realize more fully their potential and capabilities. If there was fear or doubt in taking responsibility for the performance of a major business-related situation, no need to worry. Don't miss this opportunity to move forward and open up to new experiences.